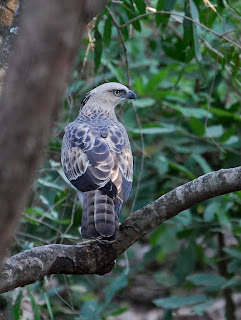 Highs and Lows of Birding: The Lion, the twitch and the war robe ! The Lion, the twitch and the war robe ! 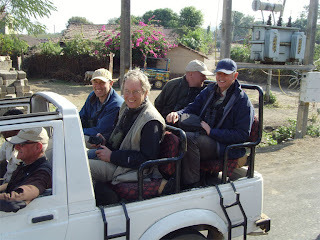 And so the Magnificent Seven and their birding machines entered into Gir National park, Gujarat India to look for that elusive mammal, Asiatic Lion. 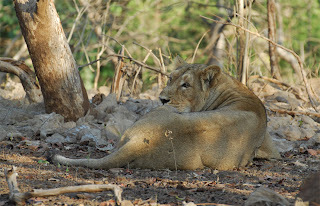 There are only 400 or so left in the wild and roughly 360 in Gir NP. This is very much like your African safari parks though in this case the Lions won't eat you, they're just big tabbies waiting for a ball of wool and a some attention. 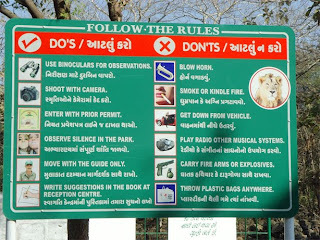 As can be seen from the sign above, there are very strict rules in the park including synchronised moving with guide and no blowing your horn...............ah peace and quiet on an Indian road, bliss ! I do sometimes wonder whether blowing your horn is one of the major tests and requires regular use in order to pass your driving test in India? 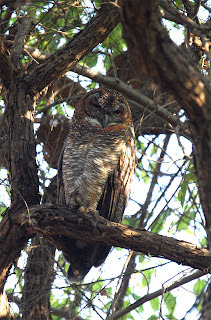 Mottled Wood Owl, a huge Owl that was a well deserved tick and not a single torch battery in sight, that's my kind of Owling! 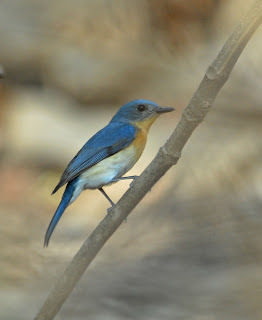 Tickell's Blue Fly, common but very nice indeed. 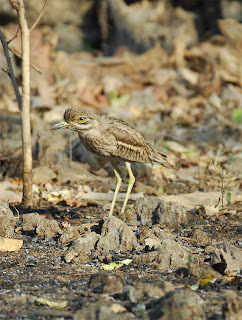 Indian Thick knee, a 'split' from Eurasian Stone Curlew. 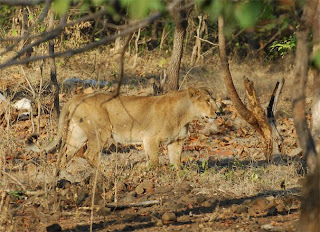 And so ended a great trip to Gir with the Lions, the twitch and the war robes of the residents in the park that apparently are of African decent and years ago set sail from African and make landfall on the coast they believed to be Africa as they saw Lions in the forests, little did they know it was India? 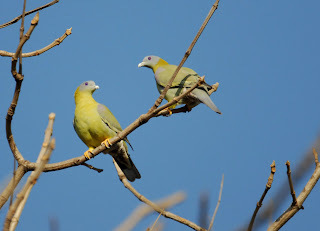 I believed the story !! Gripping stuff Barry! I'm very jealous. 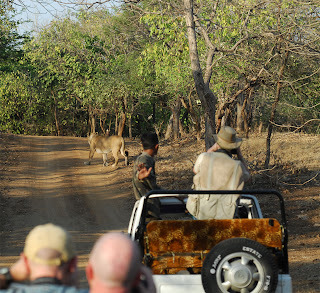 The lion may look cuddly but I don't think I'd try tickling them under the chin! 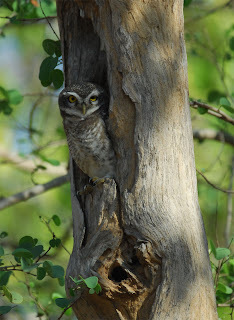 Great pics of the Owl. Run like an Egyptian !